However, scientists are still unsure of how it works. Documents were leaked earlier this month about NASA’s study of a proposed EmDrive. It generated the usual host of reactions, ranging from “it totally works” hype to outright dismissal. It’s rare for a piece of technology to inspire such polarizing reactions; however, these reactions are rather understandable. The EmDrive, otherwise known as a radio frequency resonant cavity thruster, makes use of microwaves that are bounced around inside an asymmetrical-shaped cavity. To break this down a bit more, the claim is, you bounce microwaves back and forth inside a truncated cone, and the result will be a thrust toward the narrow end of the cone. That seems simple enough, yes? After all, you are just converting kinetic energy into another form of energy. Well, here is the kicker: The total momentum increases as the device begins to move. That is like placing yourself inside a box, pushing on the side, and generating thrust. In short, it provides thrust without the need for a propellant, which at face value, violates Newton’s Third Law of Motion. This means that, based on the current laws of physics, it’s not supposed to work. Yet, that leaked paper from NASA was just peer-reviewed and published; its results suggest that it does work, barring other possible explanations. In a paper published in the Journal of Propulsion and Power, Scientists from NASA Johnson Space Center constructed their own EmDrive and tested it in near-vacuum. Their results show that the system was able to produce a thrust-to-power ratio of 1.2 ± 0.1 millinewtons per kilowatt (mN/kW). 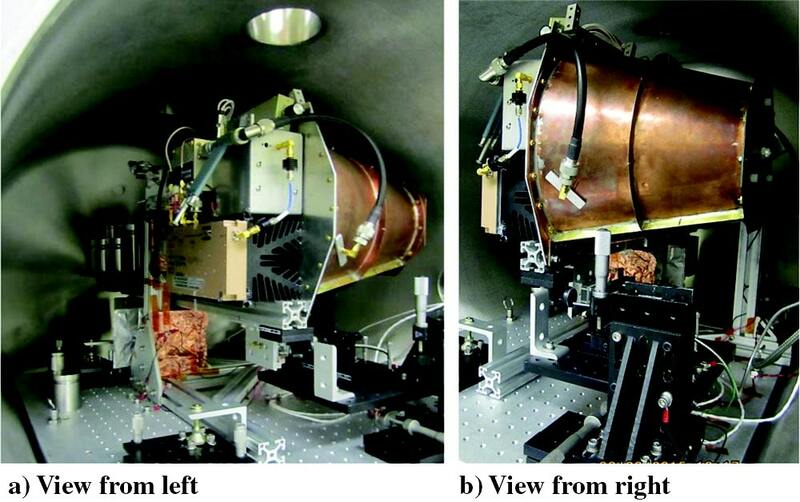 Experimental setup of the EmDrive. Credit: White, et al. It should be noted, though, that a peer-reviewed paper means that the methodology is sound, but the results (the conclusions) could still be invalid. Indeed, the authors of the paper do list some error sources for their results, error sources which could potentially invalidate their findings—like a thermal expansion of the device that could lead to a false positive. Will the EmDrive be just a glorified microwave oven or the next step in interstellar travel? For now, we just have to wait and see. But, we should take the next few developments on this technology with both an open mind and a healthy bit of skepticism.